Erdogan has again demonstrated Machiavellian instincts by taking down Turkish Prime Minister Ahmet Davutoglu. President Recep Tayyip Erdogan has yet for another time demonstrated Machiavellian instincts by taking down Turkish Prime Minister Ahmet Davutoglu amid a sharp deterioration in relations between Turkey’s two most powerful leaders. The meeting of the highest decision-making body of the Justice and Development Party (AKP), the Central Decision and Executive Board (MKYK), on April 29 eventually exposed the crisis that was going to unfold in the days that followed. The MKYK decision to take away Davutoglu’s authority to appoint party provincial and district heads greatly undermined his authority as chairman of the AKP. On May 1 then, a staunchly pro-Erdogan blog titled ‘The Pelican files’ went viral, sparking further speculations on the rift between the President and the Prime Minister. The anonymous writer of this blog sharply attacked the Prime Minister for betraying the President, explaining that Davutoglu vastly exceeded his authority. On May 4 then, the President sent a stark reminder to Davutoglu saying that it was he who made him the Prime Minister of the country. Only a day after, Davutoglu announced that he would not run for the party’s chairmanship at the extraordinary party congress on May 22, paving the way for a new Prime Minister. 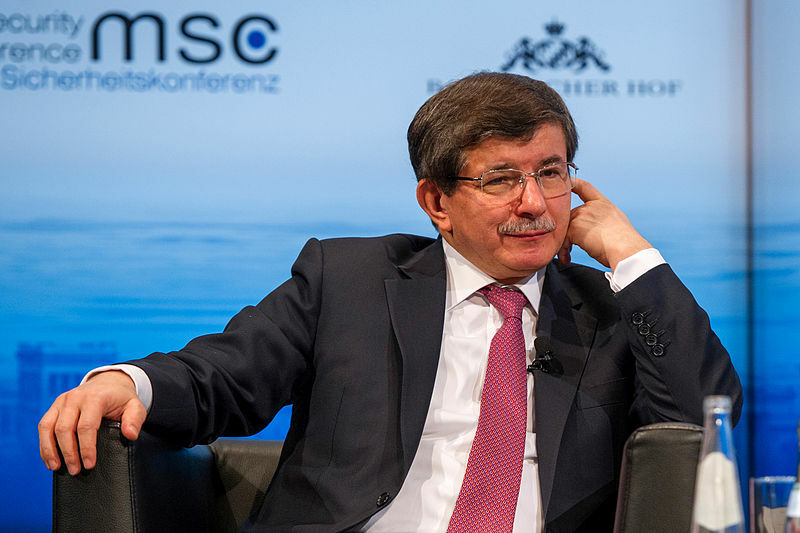 Davutoglu was expected to be an obedient follower of Erdogan’s cause and play the passive role Erdogan reserved for him when handpicked as Prime Minister in August 2014. The clear division of roles and responsibilities, however, never materialized and once it became evident Davutoglu’s days were numbered. To many Davutoglu’s sudden departure might come as a great surprise, but the fact of the matter was that the relations between the two leaders were never entirely smooth with the two disagreeing on a number of different issues, most notably Davutoglu’s reservations pertaining to Erdogan’s plans to move to a presidential system which would in effect make the position of the Prime Minister obsolete. Since Davutoglu was increasingly rolling up initiatives in recent times to develop a somewhat distinct political space for himself, Erdogan trusting his instincts decided to go separate ways with him before he could ever become a bigger threat to his hold on power. Davutoglu’s overambition has at the end led to his downfall. With Davutoglu’s resignation, President Erdogan once more proved his mastery of the Machiavellian teaching on the politically cunning use of power to realize one’s own interests. He perfectly understands how the laws of power operate. Machiavellian leaders like Erdogan excel in control and know exactly when to push the right buttons and do not hesitate pushing them. Davutoglu’s resignation was actually not the first time that President Erdogan took down one of his close comrades. Davutoglu indeed is only one of many people in Erdogan’s immediate surrounding who have fallen victim to his quest for absolute power. A close look at Erdogan’s past political moves strikingly proves his power-seeking behavior. In August 2014, for instance, when Erdogan emerged as the new Turkish President he made sure that his predecessor Abdullah Gul, one of the founding fathers of the ruling AKP, would not become the head of the party, and hence serve as Prime Minister, knowing that Gul would not be submissive enough and potentially pose a serious threat to him and his ambitions to become the sole indispensable leader of Turkey. Abdullah Gul, the more moderate and liberal-minded politician, who opposed Turkey’s switch to a presidential system, was successfully sidelined. In contrast to Davutoglu, Gul’s power base within the AKP was much stronger while Davutoglu clearly lacked support in the party which is also one of the main reasons why Erdogan picked him as Prime Minister in the first place in August 2014. The cleansing of moderates in the AKP and the remaking of the party in the image of Erdogan continued with the sidelining of other important figures. One such figure was former Deputy Prime Minister Bulent Arinc, one of the three founders of the AKP, who was at odds with President Erdogan on many occasions, most notably over the handling of the Kurdish peace process, as Arinc was urging Erdogan not to interfere in government business and to let them do their job instead. The 2001 founding trio of the AKP—Erdogan, Gul, and Arinc—essentially split apart with Erdogan gaining the upper hand and further consolidating his power. Erdogan’s break with Gul, Arinc and now Davutoglu fits perfectly into his Machiavellian master plan. He firmly believes that his particular vision of the ‘New Turkey’ is what is good for the country and that he alone can accomplish it. He has no place for people who show slight resistance to his plans and he wouldn’t allow anyone to overshadow him at any time. From the time Erdogan rose to power in 2002, he made his first priority the protection of his power by curbing the role of Turkey’s powerful military establishment and the secular elite in politics only to later expand it in a way that is unparalleled in the history of modern Turkey. He took the power he had and developed it in a way that was most useful to him and what he was trying to achieve. This way he swiftly accumulated more power than any leader has ever had since the founder of the Republic of Turkey Mustafa Kemal Ataturk. This, however, came at a great cost. Not only has President Erdogan undermined Turkey’s already weak democratic institutions by controlling the military and the judiciary, but he has also managed to silence critical voices in the country and took control of large parts of the Turkish media. Turkey once the shining star of the Muslim world is now on a dangerous path to greater authoritarianism with no return in sight. Turkey is de facto run by one man and Turkey’s switch to the presidential system has become only a matter of time. Erdogan Albay is a Senior Research Analyst with World-Check's Specialist Research Group, Thomson Reuters. The views expressed in this article are the author's own.